Tang Soo Do is a blend of Korean and Chinese martial art styles, employing both kicking and striking control techniques. TSD is best described as often a hard and a soft martial art. Tang Soo Do roots primary derives from the Korean Hwa Rang Forces, dating back many centuries to 3000 B.C. to Kochosun. In the time period of the Three Kingdoms; Silla, Paekche, and Koguryo (Silla Dynasty 57B.C.-935 A.D) the Hwa Rang Forces spread the martial art throughout the country. During this time the Soo Bahk Do style was developed. About 668 to 935 A.D. the Silla Kingdom defeated the other two kingdoms with the alliances of the Chinese T’ang Forces (Chinese T’ang Dynasty 618A.D.-906 A.D.) bringing the influence of the T’ang method to Korea. Then throughout centuries the Soo Bahk Do flowered during the Koryo Dynasty (936-1392 A.D.) and the Yi (chosun) Dynasty (1392-1910 A.D.). In Korea, around the 1930’s Tang Soo Do/Moo Duk Kwan was developed by a young man at the age of 22 named Grandmaster Hwang Kee. He is a martial arts prodigy, having mastered Tae Kyun (another Korean system not related to Tae Kwan Do). 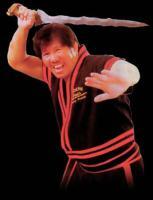 Also he was a grandmaster in the style of Soo Bahk Do. At the time Kee was doing that, he traveled to Northern China, during the Japanese occupation of Korea (1910-1945). That’s where he encountered the Chinese variation of martial artistry called the T’ang method. From 1936 to1945 he combined Soo Bahk Do with the T’ang method and developed what was to be known as Tang Soo Do/Moo Duk Kwan. Over the last twenty years, thousands of Americans have studied Tang Soo Do in Korea. Grandmaster Hwang Kee sent Korean instructors around the world to teach the style, and there are now major Tang Soo Do organizations in many countries of the world. 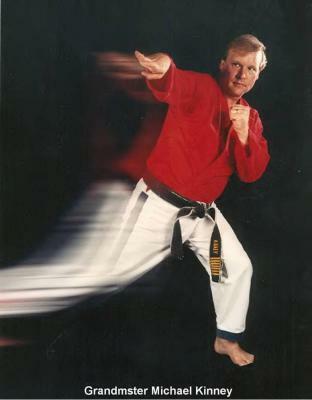 Some of the many practitioners of Tang Soo Do are Bob Shipley, David Praim, the most famous Tang Soo Do practitioner in the US is Chuck Norris, who studied back in the late 60’s through Sung Ki Kim, on the east coast. Jitsu, which means "Gentle Art" is a system of combat whereas a smaller person may defeat a person of greater physical stature. 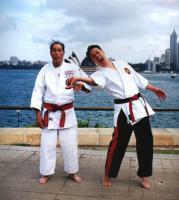 The term "Gentle Art" in no way implies that Ju-Jitsu is a gentle, dainty art. Indeed, Ju-Jitsu was the primary unarmed combat method of the Samurai and could devastatingly brutal on the field of battle. The term "Gentle Art" is really a description of the principles and techniques which are the foundation of the art. A more accurate translation of "Ju-Jitsu, would be "Way of Flexibility". The smaller person cannot rely upon brute force and strength to overcome someone who is bigger and stronger. The smaller person must instead use his opponents strength and momentum to add to his/her own technique to gain victory in combat. When the opponent pushes, the defender would pull. When pulled, the defender would push. This is the principle of "Ju no ri" as taught in Ju-Jitsu. The Japanese combat techniques of Jujutsu (also commonly known as Jujitsu and other spellings) date back at least 2000 years. The exact origins of jujutsu are unclear, as most of it's history was only passed on in the oral tradition. The few early written references show that it's origins date back to mythology. Jujitsu was formalized and most popular during the Edo period of Japan. Professor Wally Jay's years of experience in classical jujitsu, judo, boxing, weightlifting, wrestling, aikido, kung fu, other martial arts training, and many periods of trial and error, led him to develop his theory known as Small Circle Theory. and continues to evolve as Professor Jay and others enhance the style with their knowledge. Ju-Jitsu is a Japanese art form that uses manipulation and throws to disarm or defend against a grabbing assailant. Ju-Jitsu also uses blocks and strikes. Aikido consists of techniques of twisting, bending, and applying pressure against the finger, wrist, elbow, and shoulder joints by controlling the opponent without strikes. Such holds and locks can result to breaking joints if they are applied with force. The Japanese word Aikido consists of three characters which can be translated as "the way of unity with the fundamental force of the universe" or "the way of harmony of the spirit." Aikido was developed by Morihei Ueshiba, known to thousands of students of Aikido throughout the world as O-Sensei (Great Teacher). Aikido is a true Budo or "Martial Way." It has evolved in the historic tradition of Japanese warrior arts. It must be understood that studies in earnest Budo is more than a science of tactics and self-defense; it is a discipline for perfecting the spirit. Most practice is done with a partner. Each works at his or her own level of ability, alternating as nage (the attacker), and uke (the one who receives the attack). Both roles are stressed as each contributes skills that enhance overall sensitivity and control. Increased stamina, flexibility, and muscle development occur naturally as a result of training, but the techniques themselves do not depend on strength for effectiveness. 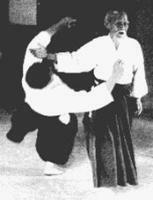 Since Aikido's movements and techniques arise from the most efficient utilization of the entire being, great power can be developed by the practitioner, regardless of physical strength. Aikido practice encompasses a broad range of training styles, and allows people to train based on their individual stage of development. As a result, Aikido can be practiced by men, women and children of all ages. Aikido develops a relaxed posture in which the weight of the body is directed towards its physiologic center in the lower abdomen. Gravity is no longer a force to be overcome. Rather it serves to support and stabilize posture. As a result, ordinary movement assumes an appearance of grace and economy. The effects of centering are mental as well as physical. Both Arnis and Kali are a Filipino art of stick fighting and disarming defense techniques. They use hard rattan sticks to strike and defend. Arnis, Kali, and Escrima are all essentially the same martial art, all originating from different areas of the Philippines. Arnis and Kali is not just stick fighting. They have made this particular fighting style into an art form stick and knife fighting. The Filipino style teaches weapons fighting before bare hand to hand combat as they do in other martial art styles. The founder of Arnis, Remy Amador Presas. For more than 50 years, Presas has pursued his passion for the stick, knife, sword, dagger, and empty hand - all in the name of Modern Arnis, the Philippine martial art he created. Presas prefers to use the term "arnis" over the term "kali". "In the west you hear the words kali and escrima used all a lot," he says. "These terms mean basically the same thing. In 1975, Presas left the Philippines on a goodwill tour sponsored by the government to spread Modern Arnis around the globe. Since arriving in the United States the art has grown rapidly. Modern Arnis is often referred to as "the art within the art." The techniques are based on patterns and theories of movement, instead of static moves and drills. Rather than learning complex forms and one-step sparring drills for each weapon, students learn the fundamentals of natural movement and use the same patterns of attack and defense in response to each direction, type and intensity of attack. This is true regardless of whether they are holding a sword, dagger, stick, or no weapon at all. In addition, all the techniques lead into a countless variety of disarms, throws and locks using the maximum leverage available from whatever weapon is being utilized.